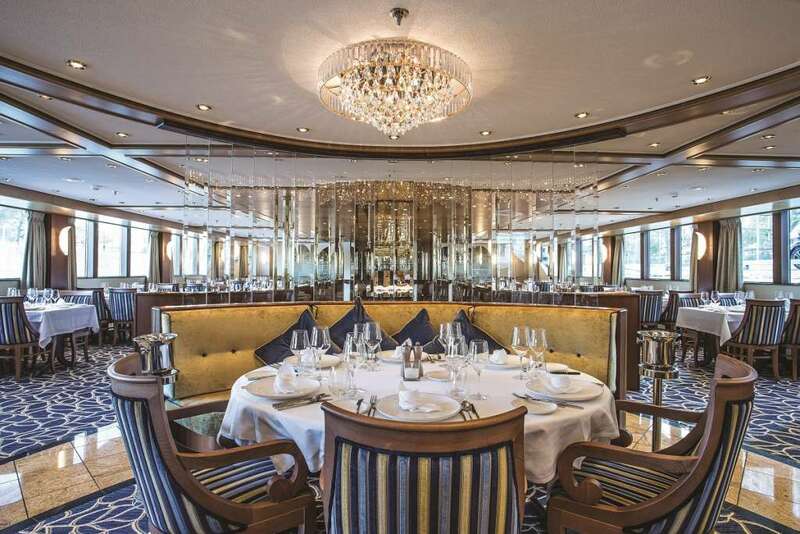 US travel company Tauck is making waves on Europe’s rivers – and MS Sapphire’s new Scottish chef, Gavin Ness, has got everyone talking. Used to the very best, Tauck’s river cruise passengers aren’t easy to impress. 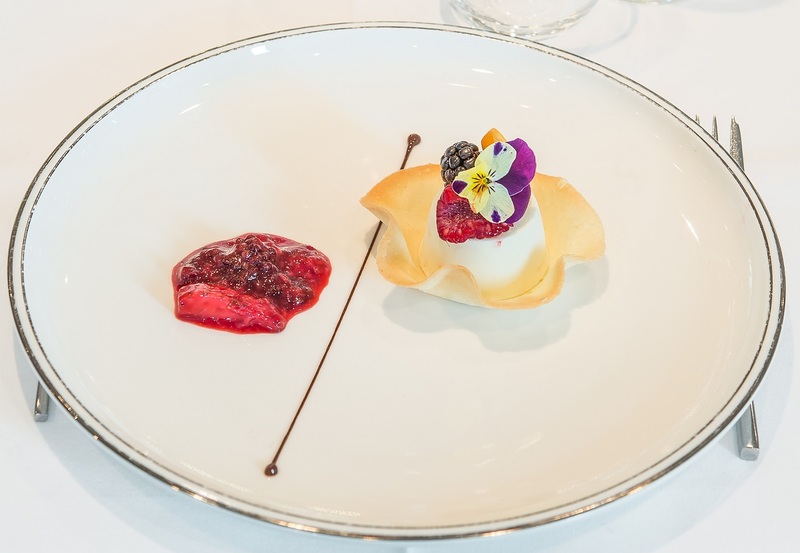 But MS Sapphire offers them a double wow-factor – not just a brand-new look after a major refurbishment, but the fabulous work of recently recruited chef Gavin Ness. Edinburgh-born Gavin, 26, joined Tauck this year after jobs on Disney Dream and P&O’s Aurora and Azura. He has already made quite a name for himself, and his 97.4 per cent guest satisfaction rating is the highest ever achieved for a first season in Tauck’s 12 years on Europe’s rivers. The secret of Gavin’s success is a clever combination of traditional menus, his own signature dishes and authentic local delicacies. “I have a team of eight, including a pastry chef, and we try to create everything from scratch,” he says. “We buy local produce along the Seine, picking up fresh supplies such as cheese, bread and wine – as well as frogs’ legs, escargots and foie gras. “I always discuss my menus with the maitre d’, who decides on the wine we serve every lunchtime and evening. “From soft drinks to champagne it’s all complimentary on Sapphire but we do recommend wines to suit each dish. “My signature dishes reflect my heritage and training worldwide, including the US, Spain and France. But I come from Scotland, so including haggis is always a must. 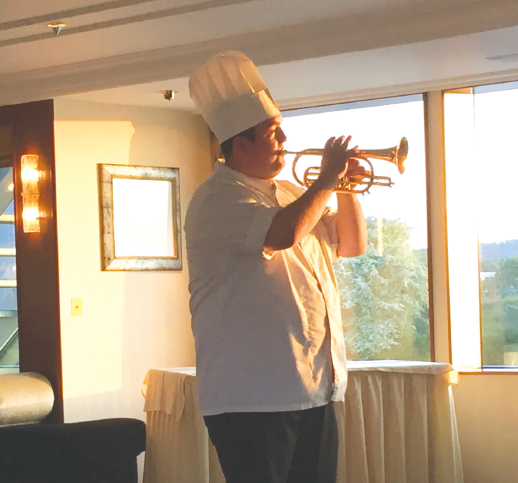 The icing on the cake for Sapphire’s guests is Gavin’s musical performance on the last night of each cruise, when a concert showcases his skills on the cornet. Growing up, Gavin played the instrument in the Boys’ Brigade, and he says he dreamed of being a musician in the Forces. “But my hearing wasn’t good enough to get in so I took a three-year apprenticeship in the kitchens of the Hilton Hotel in Edinburgh.